Formulated to support wellness for every lifestyle, NingXia Red® is a unique, powerful drink that will help you make the most of every day. 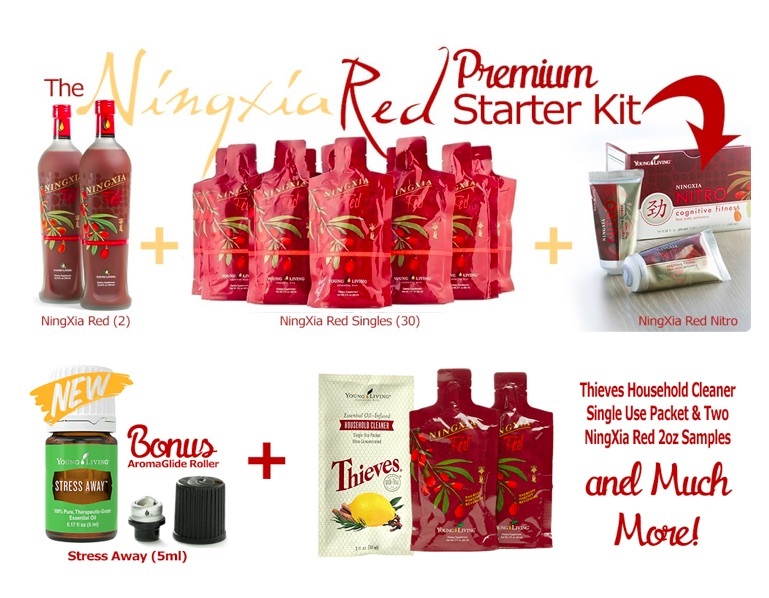 This Starter Kit includes the top-selling cognitive fitness booster, NingXia Nitro! 24% wholesale discount on all future orders from Young Living. No selling of essential oils is required as well as no commitment to order anything. As a Young Living Wholesale Member you also have the OPTION to enroll in the Essential Rewards program to save on shipping, earn additional discounts and earn up to 20% of your money back to go toward more of these amazing health products! Get Your NingXia Red Today!